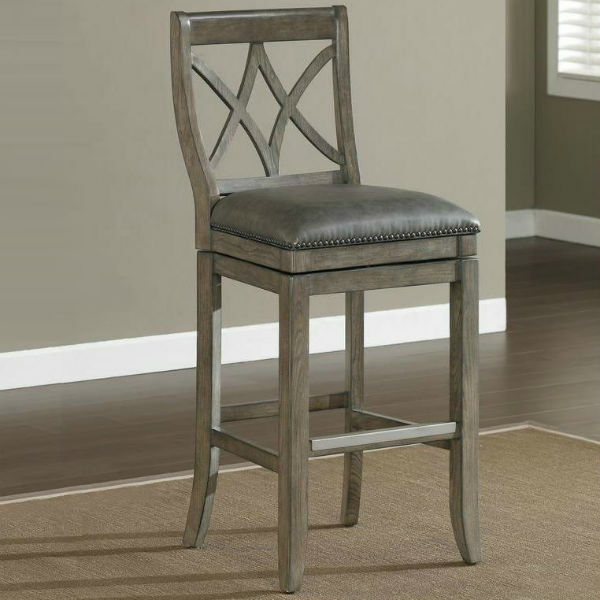 The Hadley Bar Stool is a striking transitional-style addition to your home. 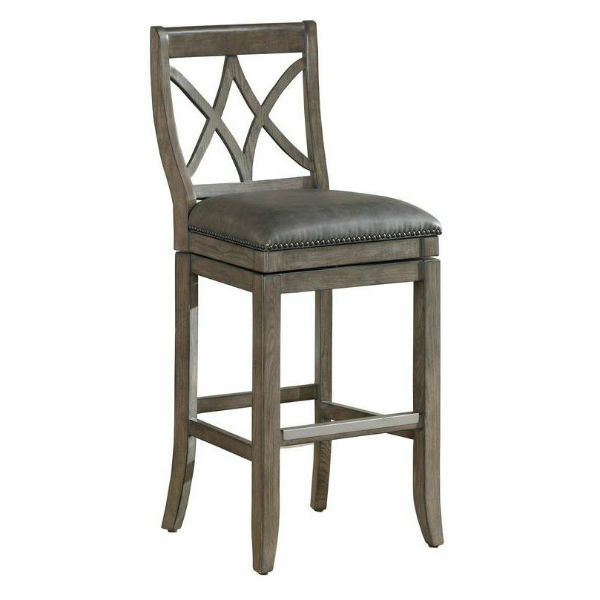 This bar stool will be the focal point of your game room or gathering area. This premium bar stool has mortise and tenon construction to make it extra sturdy and a stylish brass foot plate for protection. The Hadley Bar Stool is finished in an up-to-date glacier gray and has a bonded leather cushion in charcoal. The convenient full bearing 360 degree swivel makes this a practical choice for any venue and the adjustable leg levelers ensure they will be suitable for any type of flooring.